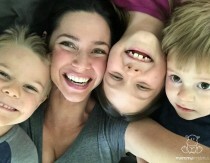 Heather Dessinger 46 Comments This post contains affiliate links. I eat pansies for breakfast. Like, the actual flowers. Not very often, but enough to want a t-shirt that says so. Edible flowers are more than just a fun conversation starter, though. The soothing properties of calendula (Calendula officinalis), for example, have a long history of use in both folk medicine and culinary traditions. Gentle enough for babies and yet potent enough to draw the attention of researchers, calendula is often used as first aid for cuts, scrapes and bug bites, to soothe a sunburn, as a rinse for pinkeye, relief for sore throats, and as a salve for diaper rash. Calendula petals have traditionally been added to butter, cheese and custards to enhance their golden color. Because its flavor is similar to saffron, it is sometimes used as a substitute. Unlike rare herbs that tend to be expensive and difficult to find, it’s easy to grow or buy for an affordable price. Herbal constituents (aka beneficial components) can be extracted using many kinds of mediums: water, alcohol, oil and others. Water based extracts – like this Happy Adrenal Tea – are usually consumed internally, although occasionally they are used externally for issues like skin or eye irritation. Some very concentrated teas are mixed with honey to make long-lasting herbal syrups, like this elderberry version. 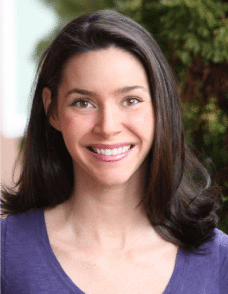 Tinctures – like this one for restful sleep and this one for adrenal support – use alcohol or glycerin to extract “hard to get” beneficial compounds such as alkaloids. 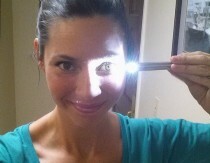 They’re taken internally and used occasionally for wound care or other skin applications. Oil extractions – like the calendula oil recipe below and this plantain salve – are most often used externally. However, calendula oil also makes a delicious, gut-soothing addition to homemade salad dressing – just use it like you would regular olive oil. Also known as infused oils, herbs extracted using oil can be made in a number of ways. In the tutorial below I’ll share two methods with you. 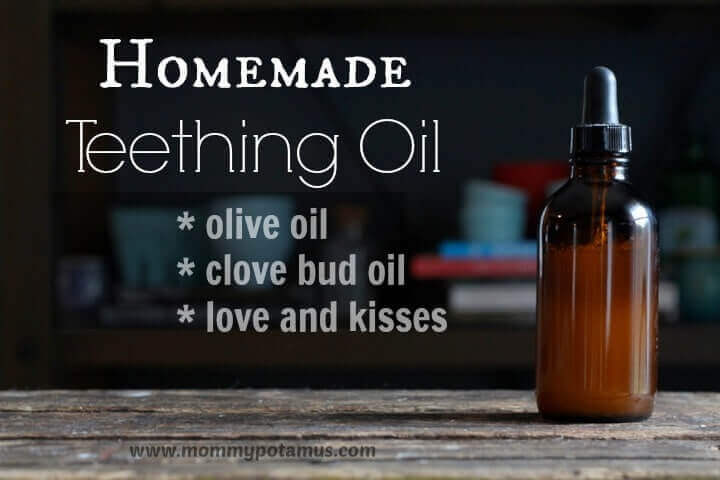 With both methods the goal is the same – mix herbs and oil so that the oil can draw out the helpful properties of the herbs. One of the most common questions I get when I post a recipe is “Hey, do you sell this?” I get it, no one has time to make #allthethings all the time! Although I don’t have a shop to sell the recipes I share here, I can recommend this calendula oil if you’re looking for a pre-made option. How do I use calendula oil? First aid for cuts, scrapes, burns, sunburns, bug bites and other minor skin irritations. * I make the oil into a calendula salve that can be kept in my purse without leaking. Face and lip care – Infused calendula oil is the “secret ingredient” behind many beloved face serums and lip balms. Use it in place of regular olive oil in this lip balm recipe. 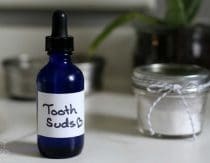 Diaper rash – I like to apply the oil – or a salve made from it, which I will be showing you how to make soon – and then sprinkle some bentonite clay over the area. Both calendula oil and clay are considered cloth diaper friendly. Salad dressing – Yep, really! Calendula is considered soothing for the skin and the digestive tract. It has a mild flavor similar to saffron. I use it in a basic salad dressing recipe in place of plain olive oil. 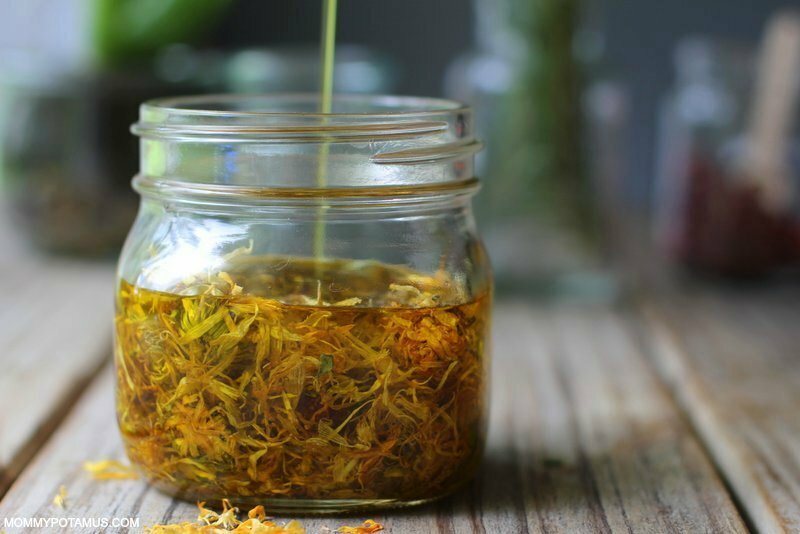 *Calendula infused oil works perfectly well for all of these situations, but if you’d like to make the oil easier to transport – say, in your purse – you can make it into a salve. I’ll be showing you how to do that soon! According to the Botanical Safety Handbook, calendula is a Safety Class 1A herb – the safest rating possible. However, older studies report that the internal use of calendula may stimulate menstruation, so it is not recommended for use during pregnancy. Topical use is considered fine. Also, individuals who are allergic to ragweed may find that they are also sensitive to calendula. This is the traditionally preferred method because it is thought to preserve the delicate constituents found in calendula best. However, sometimes it’s just not practical to wait 4-6 weeks for a batch. For those times, I’ve included a faster method below. Place calendula petals in a clean, dry glass jar. Next, pour in the olive oil – add enough so that the petals are covered by about one inch of oil. My petals usually float when I first add the oil, so I watch the bottom of the jar to make sure I’ve added enough. The reason this is done is that the petals expand as they soak in the liquid, so you add extra to ensure that they stay covered. Cover the jar with a tight fitting lid and give it a good shake. Place the jar in a paper bag and store near a warm, sunny window. (Some people skip the paper bag, but others believe it helps protect some of the valuable constituents found in calendula from breaking down due to UV light.) Give the jar a good shake when you walk by it every day. Cover the jar with a tight fitting lid and give it a good shake. Place a kitchen towel in the bottom of your crockpot and place your jar inside. Add enough water to cover about half the jar and set to the lowest setting for 2-6 hours. I set mine to warm. Strain out the oil using cheesecloth and pour the oil in a clean, glass jar. Store in a cool, dark cabinet until needed. What great timing! I am growing Calendula for the first time this year. Looking forward to the post on making a salve. I would like to grow it but I have wild rabbits around. They ate it down to the ground the last time I tried to grow it. I have tons of rabbits, and the left my calendula alone. I do have them surrounded by nasturtiums, other marigolds, and mums. Not sure if that helps. Is Calendula good for insect bite itches? If not, what would you recommend? My daughter is covered in mosquito and black fly bites and she finds them incredibly itchy. We’ve been using tea tree oil, which helps to a degree, but not enough (at least it keeps the infection at bay). I put some oatmeal in a blender and ground it up to more of a flour state and then put a cup full in a warm bath and had a soak for 20 minutes (watched a rerun of a comedy on netflix to pass the time) and then patted dry (not rubbed). It took away the itch as long as I didn’t scratch the bites. I had more than 20 mosquito bites and it really worked. It took the edge off except for a few on the bigger ones that I accidentally scratched (which started up the itching again). I had a gelatinous like mess when the tub drained but I didn’t mind because it took care of the itch in places I couldn’t reach. I made calendula salve last year using home grown and dried calendula petals that I infused in almond oil and kept on a sunny windowsill for a few weeks, strained and mixed with melted beeswax. I normally react very badly to insect bites and just cannot stop scratching them. This summer I have rubbed each bite with my calendula salve instead of scratching: the itching goes away for 12 hours. It like magic, better than any expensive tube from the pharmacy and costs next to nothing to make. Ledum palustre (aka Rhododendron tomentosum, commonly known as marsh Labrador tea, northern Labrador tea or wild rosemary) in its homeopathic form works Amazon well on many insect bites (mosquito, black fly, spider, etc), especially when used shortly after being bitten. It works otherwise too, but may need several applications to kick in. I prefer the ingestible pill form vs the topical ointment form. It works faster and longer for me. Can you use any type of calendula flower (pot marigolds)? How important is it to strain the petals out? I ask because I made some calendula infused oil, the slow method, and never strained it. I’m wondering if it is still safe to use. It’s been a few months since I first began infusing it. I use dried calendula flowers to make organic calendula oil. It’s one of my favorite ingredients because it’s so effective. It has so many uses. My friend’s five year old was in pain because his skin was so dry from the hot weather and being in the pool all day. I gave her my calendula oil and it relieved his skin almost immediately. This made me really happy:) It’s really great to use on old people who don’t move around a lot and have the beginnings of pressure sores. It’s really important to prevent them from getting worse. It’s also a main ingredient in my lip balms because it truly helps severely chapped lips in the winter. I’m a fan of calendula oil–just didn’t try it as a salad dressing yet! Do you use the entire flower or just the petals? Thanks! I was wondering this too. I have organic calendula on it’s way from Amazon, but I hope to grow my own next time. Thank you for the great post! You can fill your jar one-half full to almost 3/4 full with the herb and cover the herbs with the oil (s). Make sure you have enough oil to fully cover the herb in the jar. Do not pack down the herbs, though, as the herb will expand some from absorbing the oil. I’ve read that mostly filling the jar halfway. Hello – I was wondering what the purpose is of placing a kitchen towel in the crock pot for the “quick method”? How do you arrange the towel – flat on the bottom vs surrounding the jar? It should be laid flat and it’s purpose is to prevent the glass from breaking. ? Also, do you cover the crockpot? I live in the mountains of Western MD. The windows that are sunny are also cold so I put the dried flowers in the oil, wrapped the jar in a towel and put the jar in the linen closet for 7 weeks. It probably was around 70 degrees all winter. Will the oil be infused or should I put the jar in a warm window when the weather warms up? How long does this last. Like will it stop bring effective after a certain amount of time? I have used it often since this and aloe is all I use on my face. But just wondering how large of batch I can make. Can I use fresh petals or does is it better to dry them first? I would dry them first. I dried dandelions and Infused them for the first time. I read that by drying them first it removes any water content which could affect the oil. 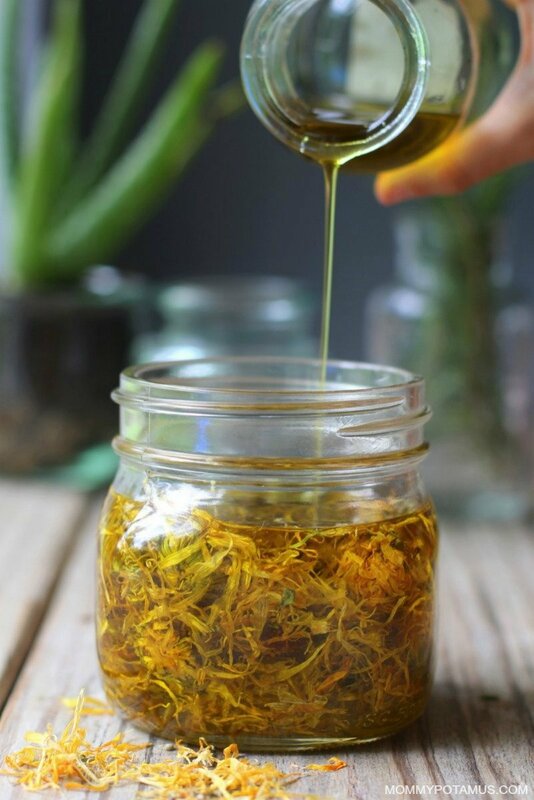 I’m growing Calendula and want to make infused Calendula oil. I have a bunch of flower heads and the petals have shriveled up and are still orange. The future seeds are still green. Can I use the whole head to make the infusion or just pick future petals and dry them. Be sure you flowers are dried as any water in the flower will make your oil turn rancid. I am doing both the whole flower head and loose pedals that I’ve pulled until I’ve read that you can use the whole flower head as long as it is dried out. Curious if the strained flowers could be used for anything or if you just discard/compost them? Thanks! 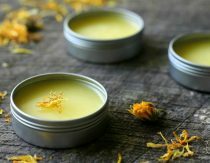 Can I use calendula extract in place of the flowers in a salve recipe? 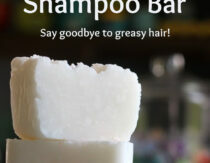 Can I use fractionated coconut oil. And would this help with lichen sclerosus? Is it safe to use it in female sensitive areas? How long does calendula oil last? I found this online and it says 1 year. Can I use coconut oil I️ stead of olive oil? I think you can use whatever oil you like. I always consider the properties of the carrier oil regardless if what I’m making. Hi Heather! I do not have a crockpot. Is there another way to use the quick method without one? Thank you! What Olive oil is recommended in making this? Dark, light, organic, etc? I am growing calendula again this year and will be making oils and salves. I love your website. By the way calendula lived throw 2-3 months of snow and freezing cold nights. It is a hardy plant and just keeps blooming all year around. I was amazed!! First year growing calendula. Most plants have survived a few frosts so I feel obligated to put them to use!!! Was going to use virgin coconut oil, kept warm for the infusing stage. Then just let it cool and harden after straining. Would that work? Re the Calendula Oil.. Is there another option to use if you do not have a slow cooker? Also, I have a bad case of what looks like perioral dermatitis (I believe its from internal issues and am working on that!!). From what ive been reading it looks like calendula and rosehips are my best options… Can I make this oil using both of these herbs? More bang! Its out of control and looks horrible. Also Ive read it takes quite awhile to go away. Oh, one more thing.. Do you have suggestions for a face cleanser with both of these herbs? Thank you so much for any suggestions and your blog is wonderful!! Hi Patrice, you can use the slow method listed above if you don’t have a slow cooker. Yes, you can add rosehips to this recipe. I do not have a recipe for facial cleanser that includes these herbs, but you might find this one helpful.